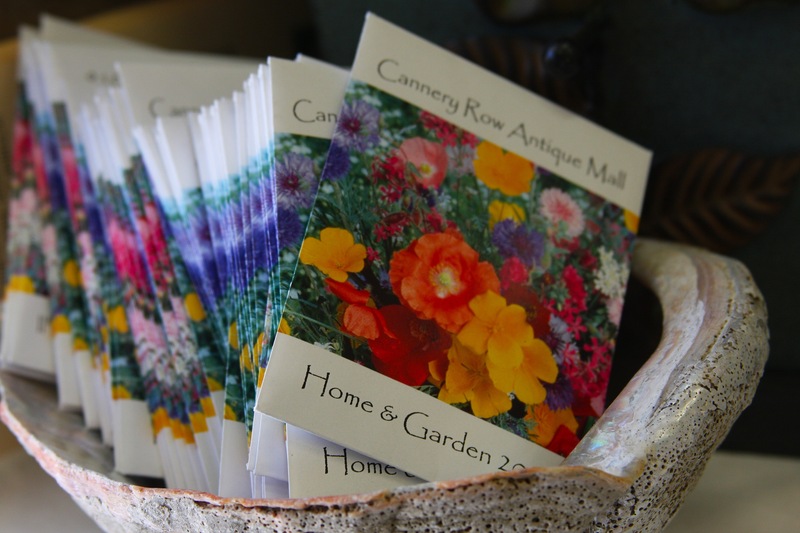 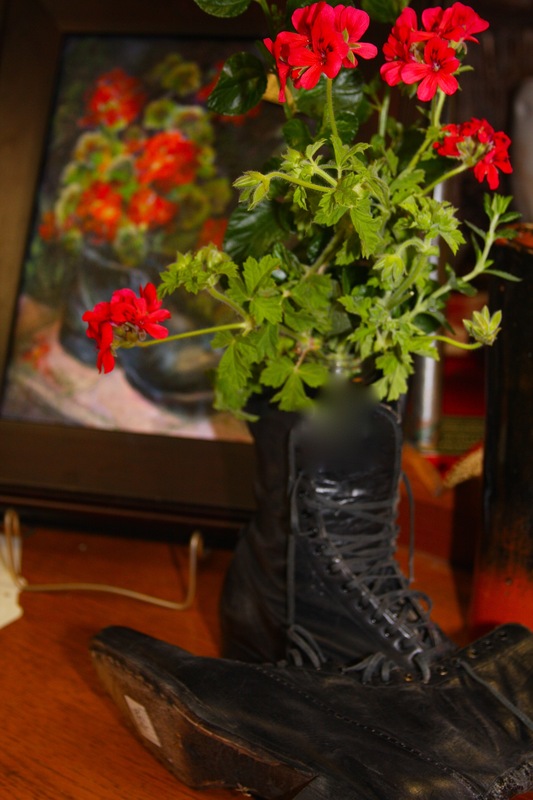 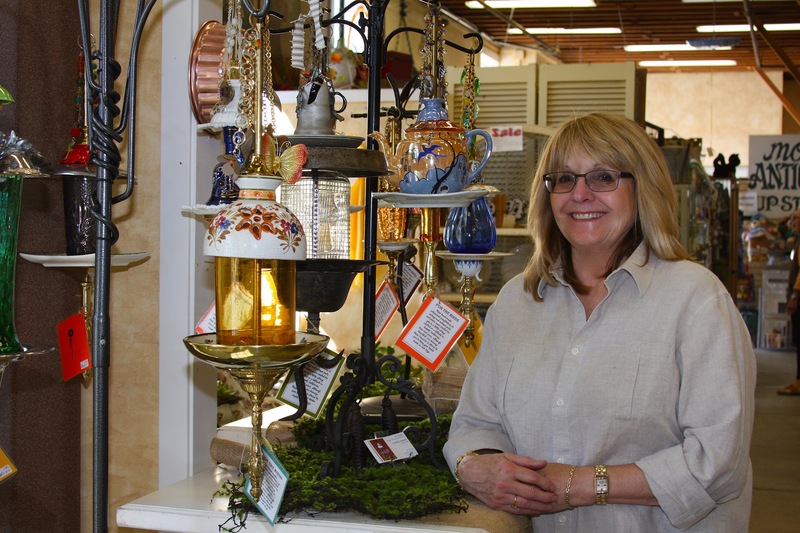 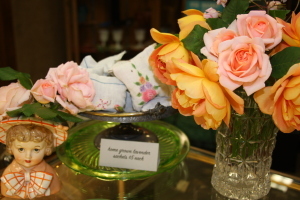 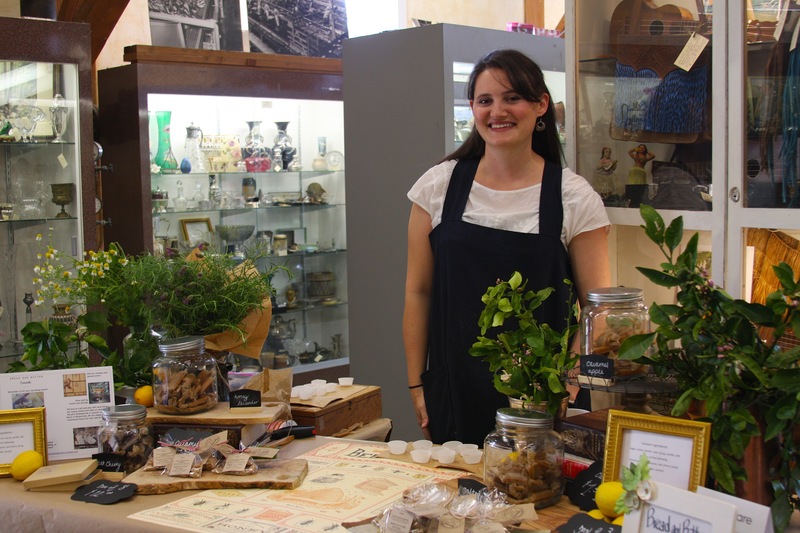 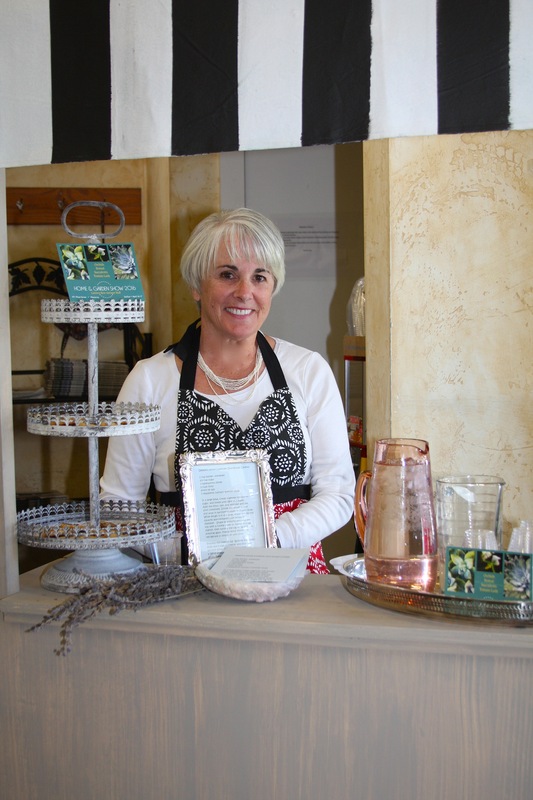 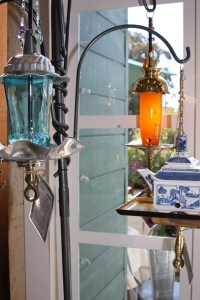 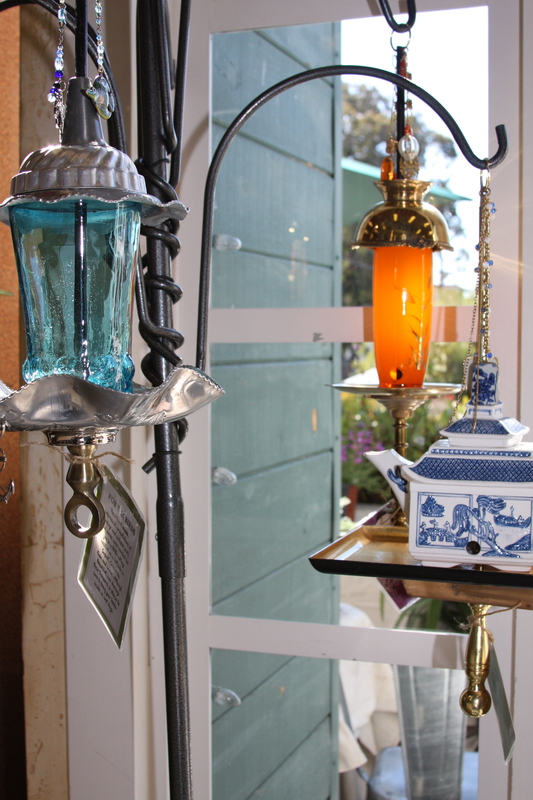 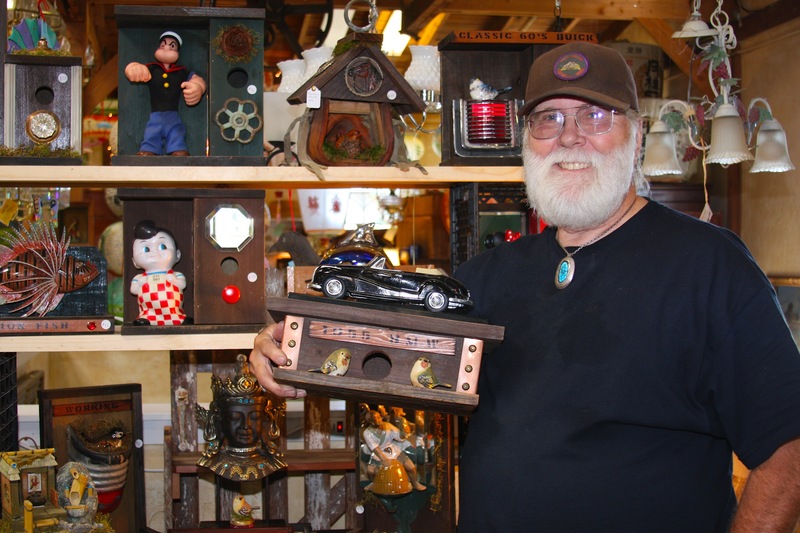 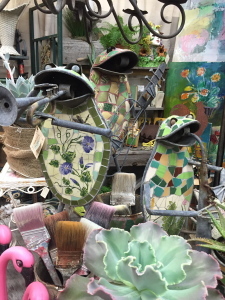 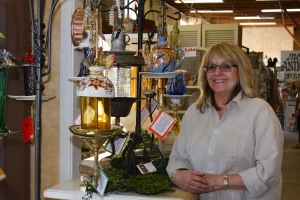 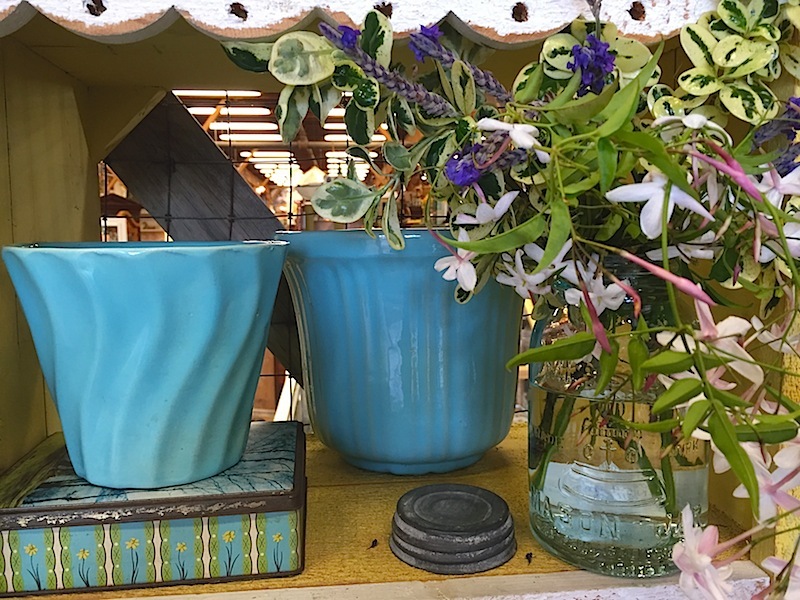 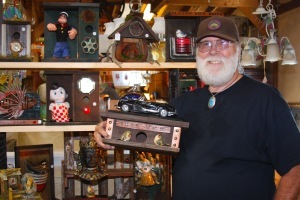 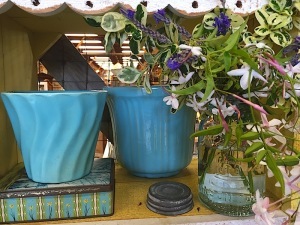 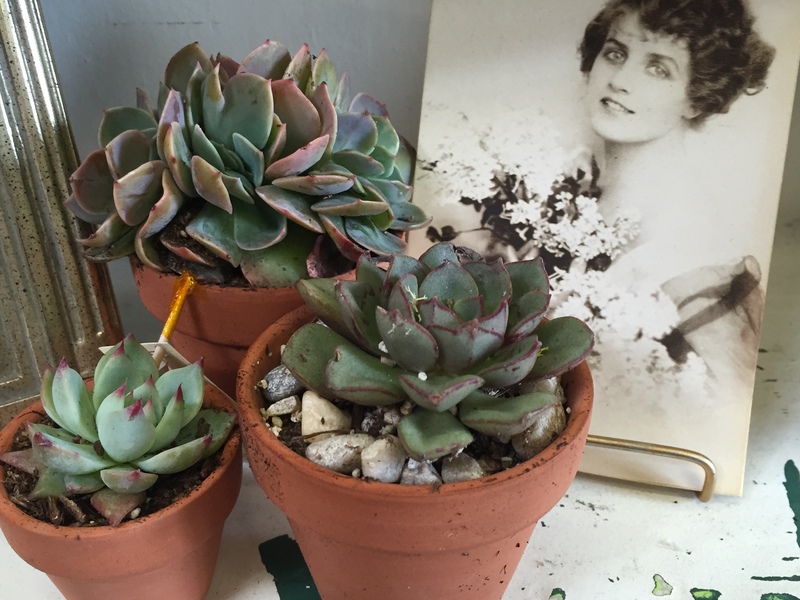 Cannery Row Antique Mall welcomed Spring in a most charming way. 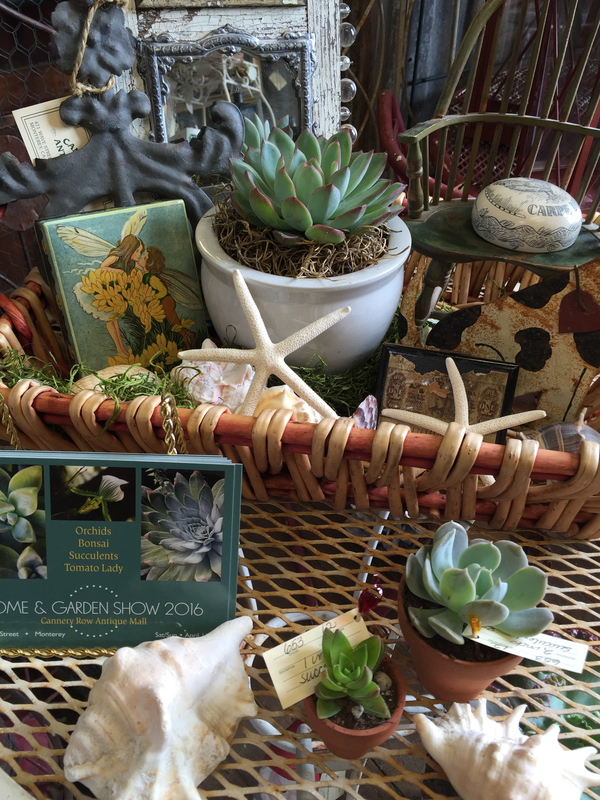 A Home & Garden Show, complete with live plants, garden accessories and refreshments with a touch of fresh lavender. 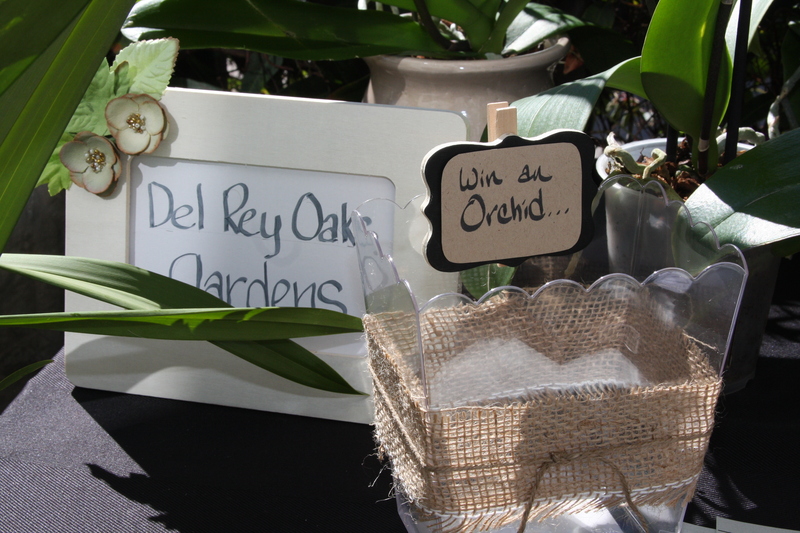 Our vendors were Del Rey Oaks Gardens (native plants & orchids), the Monterey Bonsai Club, succulent arrangements and wooden crosses embellished with rusty metal roses and garden picks by Garden Treasures by Lisa, whimsical birdhouses by Barnwood Birdhouses, beautiful glass bird feeders by Jac Designs, Ivy Topiaries by Antiques by the Bay and a delicious caramel tasting by Bread & Butter Caramels. 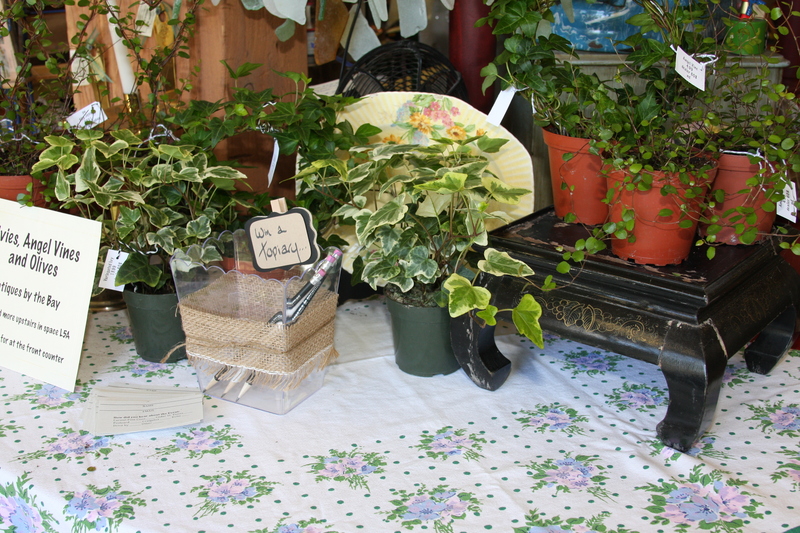 Each vendor raffled off something from their inventory, which was a fun element for our customers. The Mall had a grand prize drawing of an iron tiered garden basket filled with garden treasures including a birdhouse, live plant, floral garden gloves, galvanized tin container, vintage garden book, 7 seed packets of herbs & flowers, vintage hand tools and a wooden garden initial with metal bird. 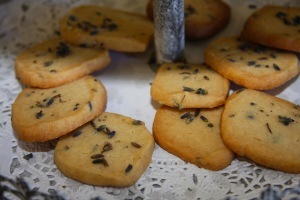 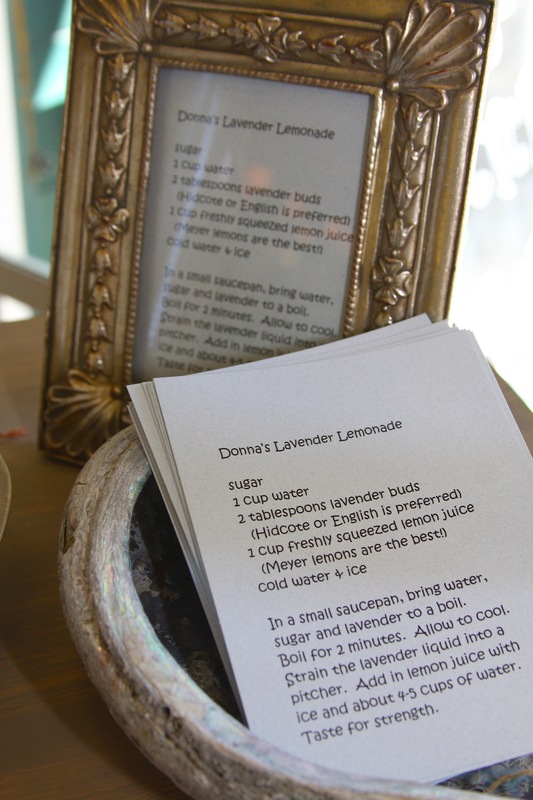 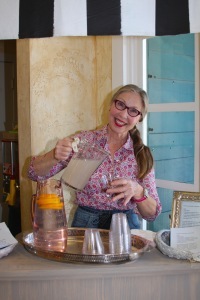 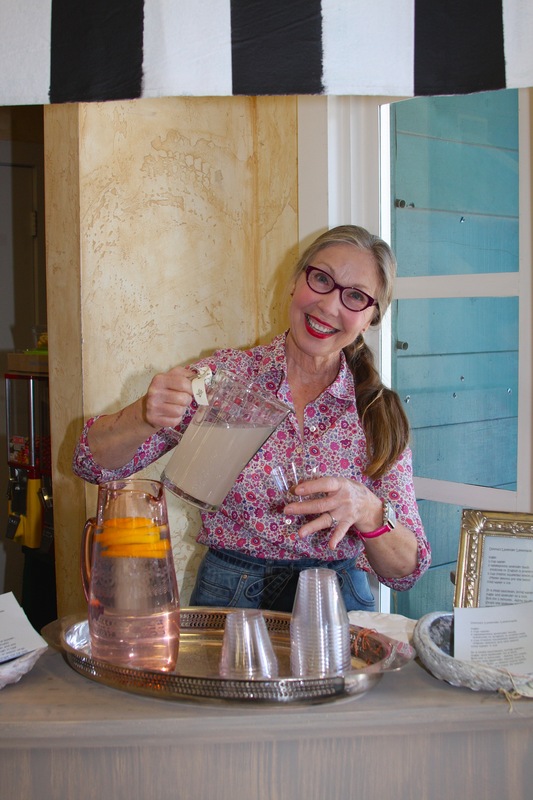 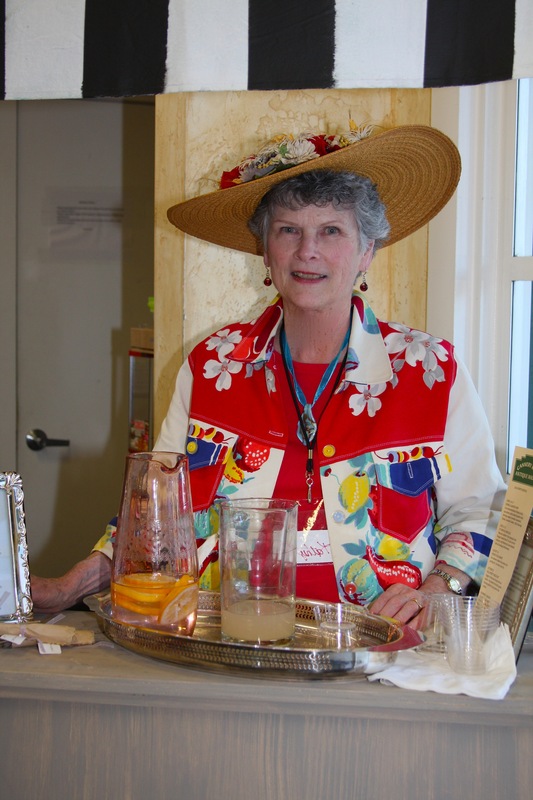 The lemonade stand, posed at the front entry, offered freshly made Lavender Lemonade by dealer Donna Smith, and Lavender Honey Shortbread Cookies, by dealer Debbie Pniak. Our greeters/servers were dealers Annette, Donna, Pam & Kathy. 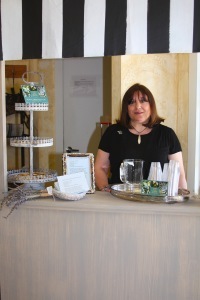 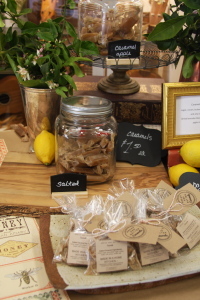 Each server poured a glass of lemonade, offered a cookie and gave a gift of a flower seed packet to each customer. 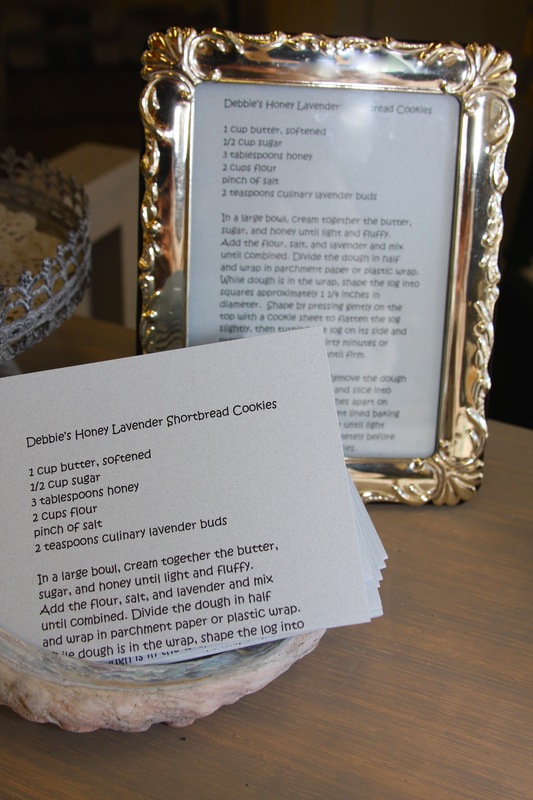 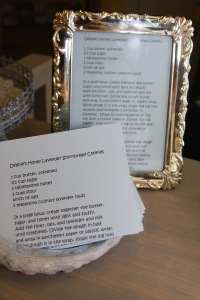 Recipe cards for the lemonade and the cookies were handed out to those wanting to make these delicious flavors in their own kitchens. Thanks to John Woods for building us a wooden Lemonade Stand, which we will use for all of our events now. Thanks to Tina Martinez for making our Lemonade Stand look amazing, with a coat of paint and a custom-made striped awning. 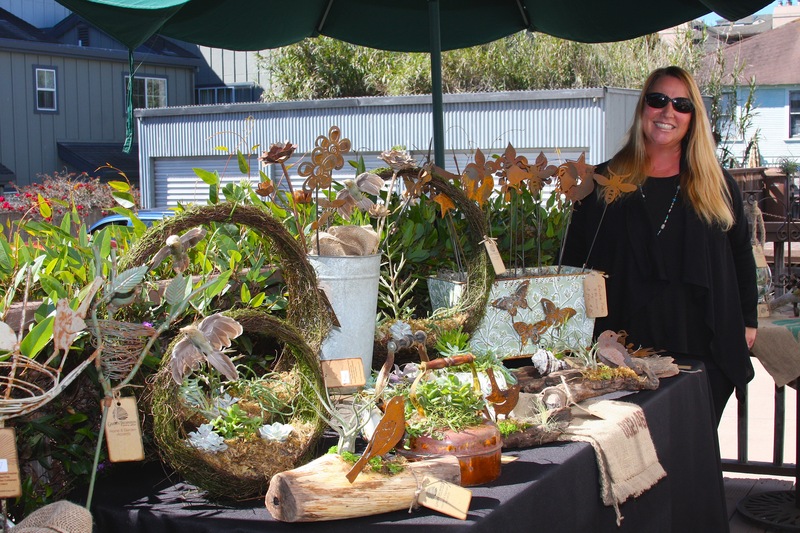 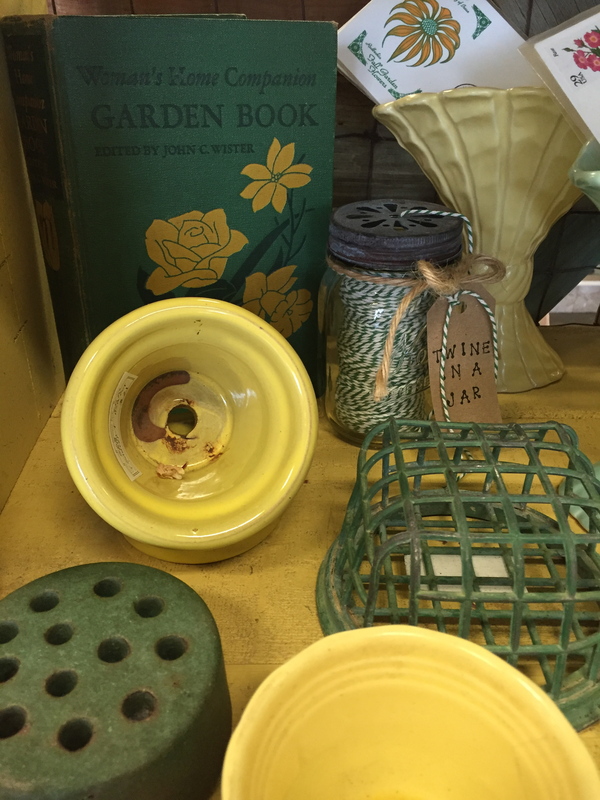 So many of our dealers honored the theme of “garden,” by bringing in live succulents, garden furniture, vintage garden gates, doors and gardening books. The Mall was alive with fresh plants and tons of energy. 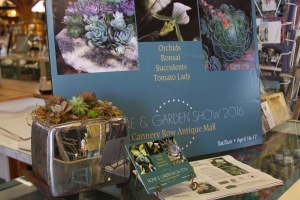 We are already planning for next year. 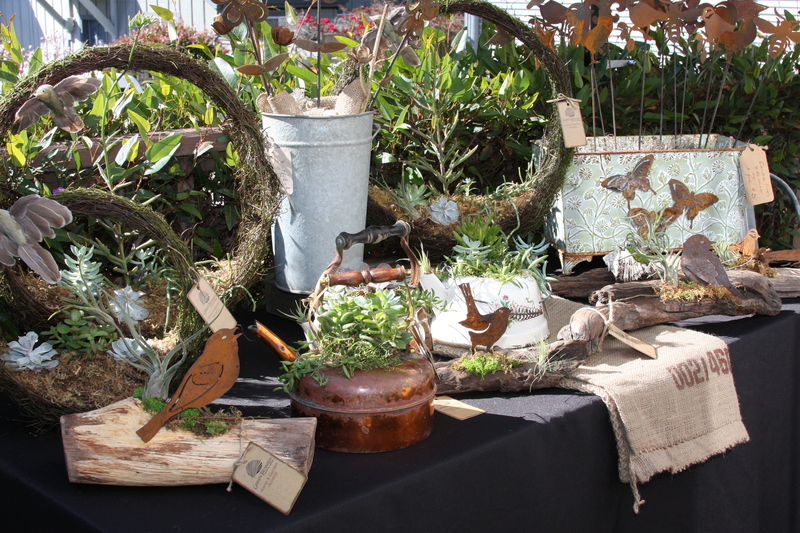 For the plant & art vendors who believed in this event, we thank them for creating the atmosphere needed to make it fly. 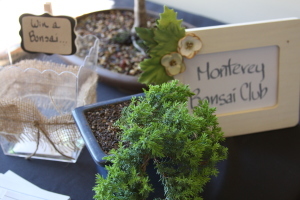 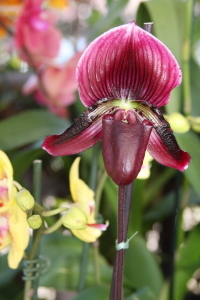 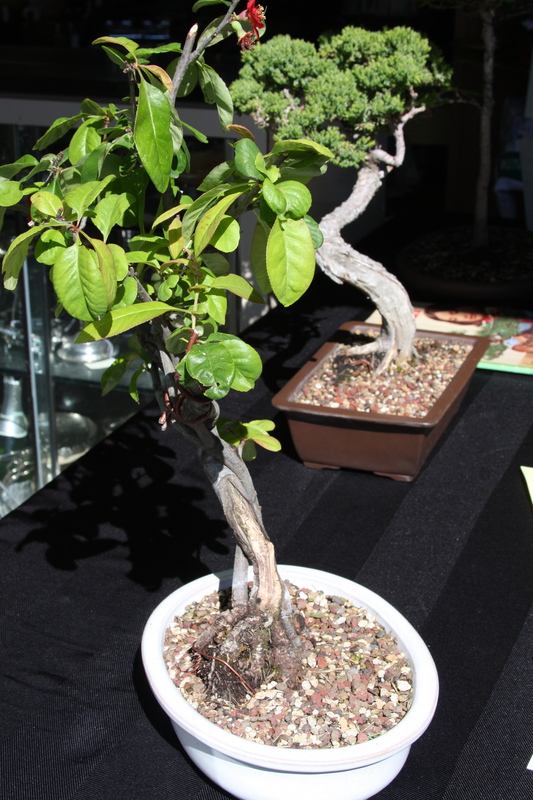 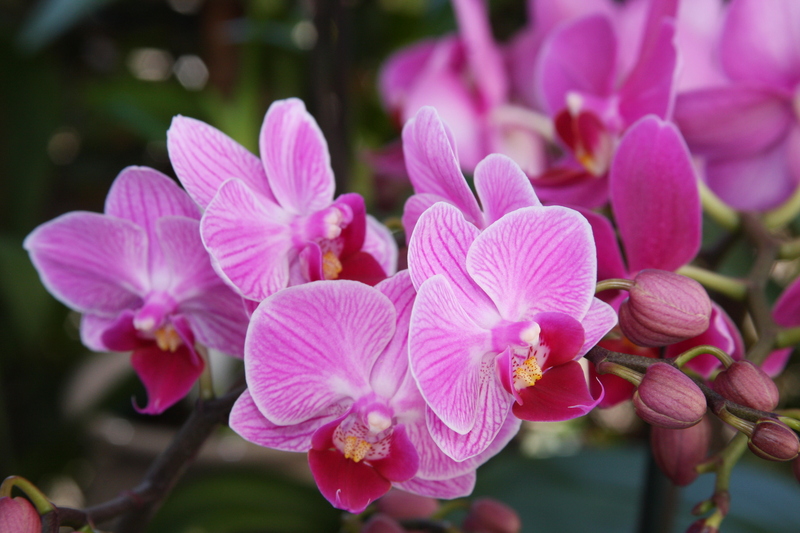 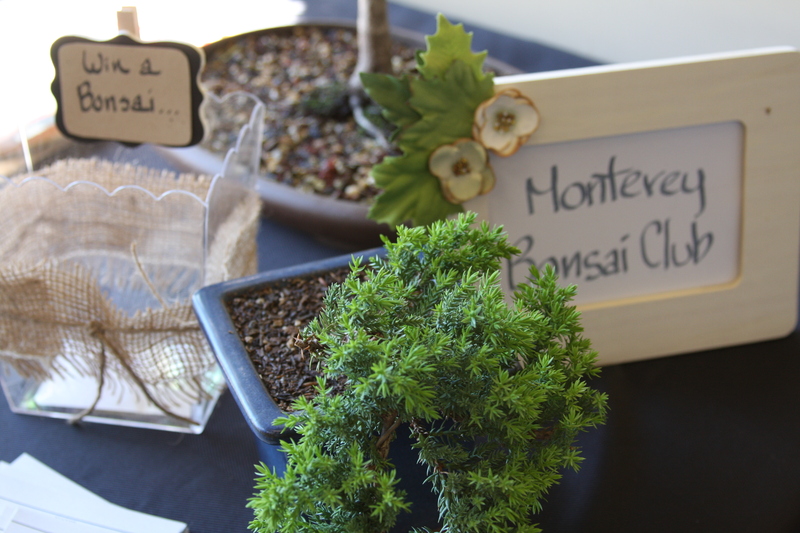 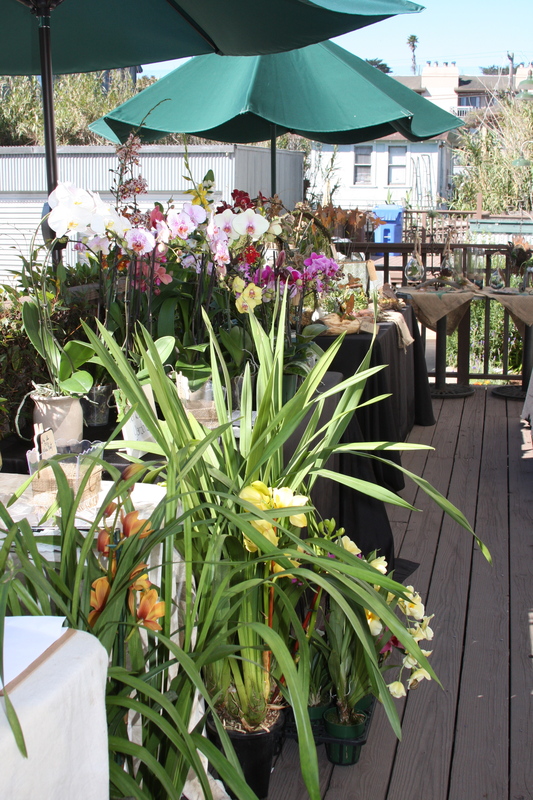 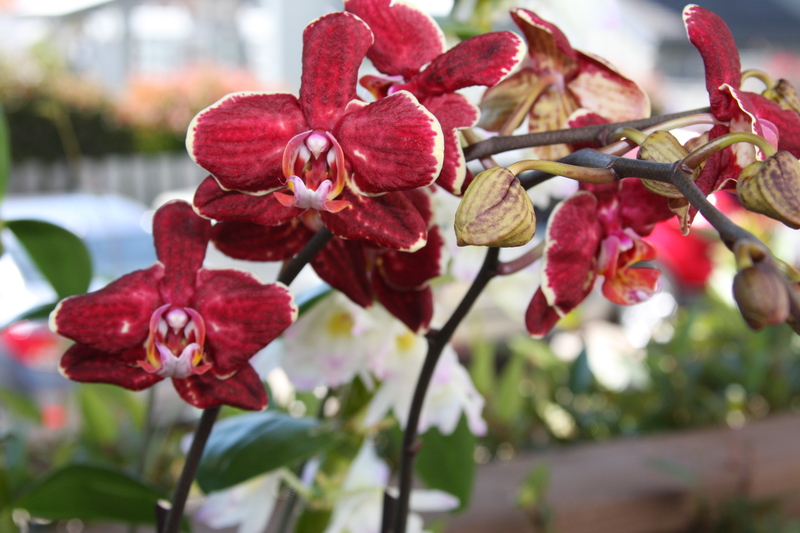 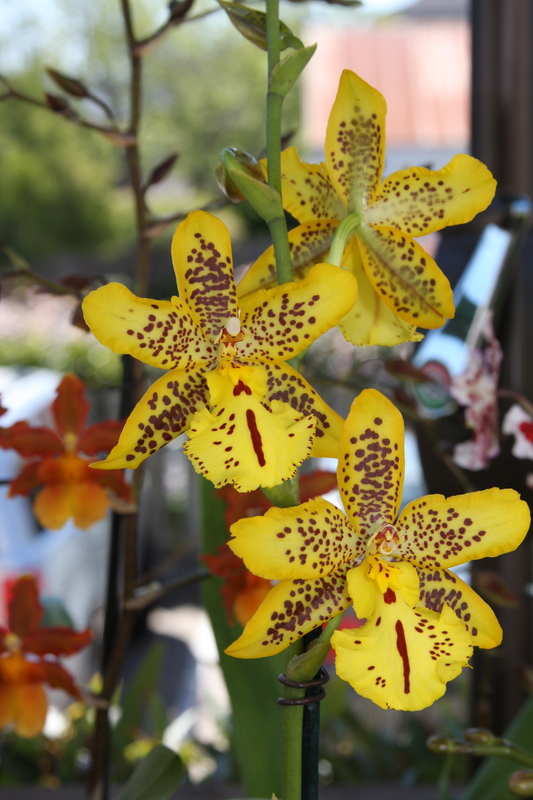 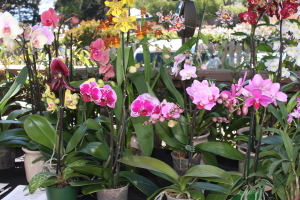 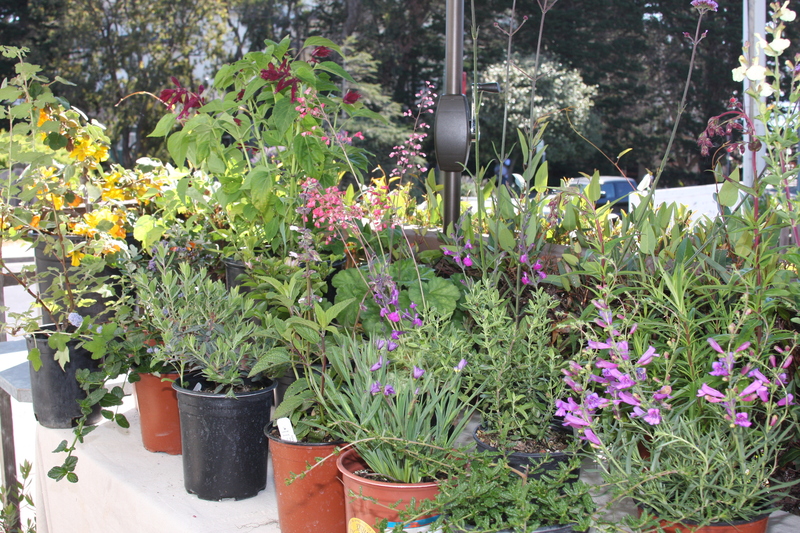 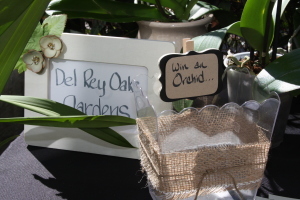 Orchids, Succulents, Native Plants, Garden Crosses & Picks, Birdhouses, Birdfeeders, Topiary, Bonsai and Caramel Tastings. 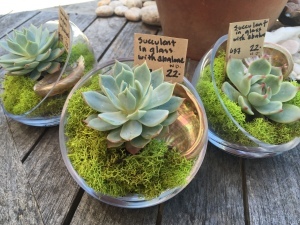 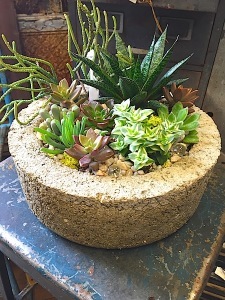 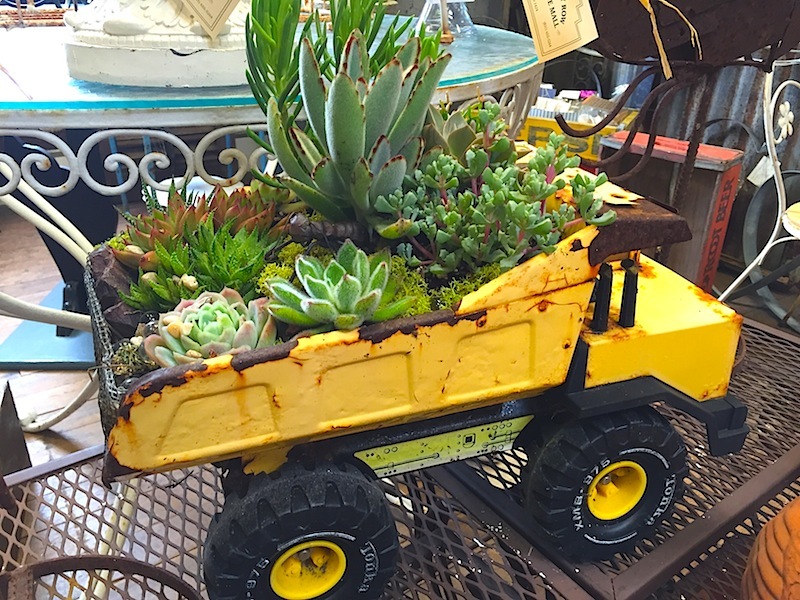 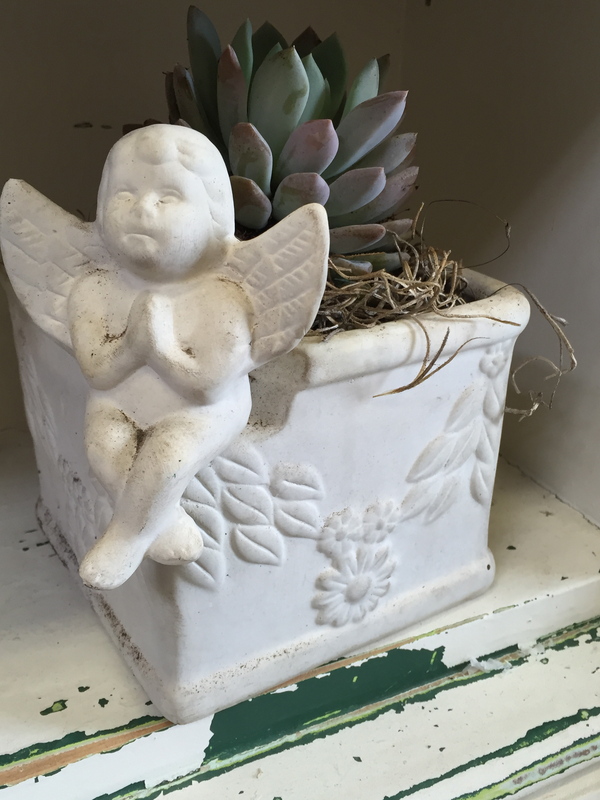 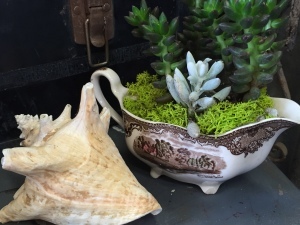 The dealers came through with live succulents planted in vintage containers, surrounded by patio furniture, urns, garden gates and whimsical garden critters.